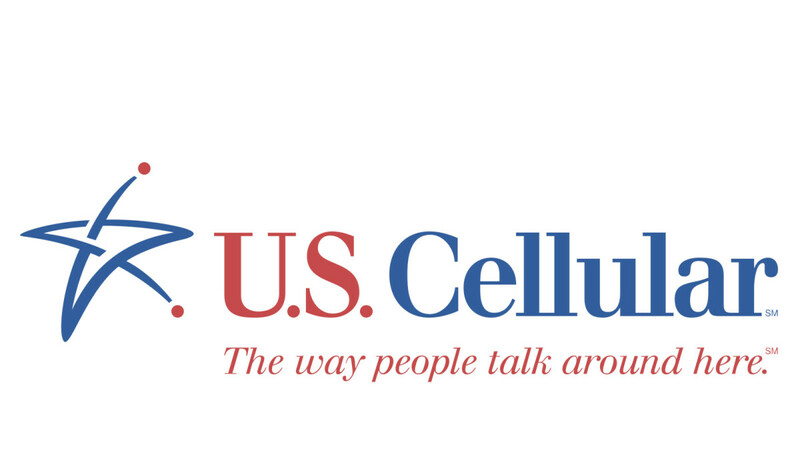 US Cellular might not be as big as AT&T, Verizon, T-Mobile or Sprint, but it is a regional carrier with great coverage in certain areas and it has a rich catalog of the best phones out there, so you don't have to compromise with the device you are using if you sign up. So... which phone should you choose if you decide to switch to US Cellular or if it's time to upgrade? We have taken a close look at all the offerings at the carrier and have selected your best options, with all their pros and cons. Read on! US Cellular offers all the latest iPhones - the iPhone X, the iPhone 8 and iPhone 8 Plus - and all of them are reliable, solid phones that you will be happy to use. The iPhone X in particular is the most advanced iPhone that Apple has ever made, featuring the new Face ID system, a full, edge-to-edge AMOLED screen and a convenient new gesture navigation operation. The X also features powerful dual cameras on the back that allow for really cool-looking portrait-style shots with a blurred background. The biggest downside of choosing the iPhone X is the price that you have to pay: it costs more than $1,000 if you pay it all right away or you can also lease it and pay that same amount in instalments over 30 months. US Cellular is also offering a certified refurbished version of the iPhone X at a nearly $100 discount, if you are interested. The other two new iPhones - the iPhone 8 and iPhone 8 Plus - still come with big bezels, don't have the gesture navigation system, and the smaller iPhone 8 does not support portrait mode because it doesn't even have a secondary camera. So yes, the iPhone 8 and 8 Plus do look a bit outdated, but if you look closely, you will appreciate their buttery smooth performance and the big iOS ecosystem behind them. US Cellular also offers all the latest Samsung Galaxy phones, including the Samsung Galaxy S9, S9+ and the Note 8. The Galaxies don't cost as much as an iPhone X, yet still offer a superb Super AMOLED screen, a nearly bezel-less design that looks every bit as premium as the iPhone, and a camera that in many ways is superior to the camera on the iPhone X. Which of them all should you pick? The Galaxy Note 8 is the biggest of them all in terms of physical size and it comes with the S Pen stylus that you can use to jot down notes quickly and to draw if you are the artistic type. If you don't plan on using the S Pen, it might be a better idea to look at the other two. The Galaxy S9+ has the large screen and dual camera with support for Live Focus (Samsung's name for portrait mode) that really set it apart. If you want something more compact, the Galaxy S9 is just slightly taller than the iPhone 8 and about as compact in terms of width. Your third best option is most likely an LG phone. US Cellular sells the new LG G7 ThinQ, a phone with a unique dual camera setup where the second camera is a super wide-angle one that really allows you to capture a different perspective. Still, in terms of pure camera quality, the G7 is not quite on par with the Samsungs and iPhones out there. LG has a bit of a quirky interface design that takes some getting used to, but the G7 is actually much improved with a more streamlined user experience and a bunch of extras like the new loudspeaker that resonates along the whole phone and provides a deep and clear sound output. If you want a phone with a larger screen, the LG V30 is your other option. It has now dropped in price significantly and you can get it for as low as just $600, and it offers a similar dual camera wide-angle view, a nice display and a decent performance, as well as wireless charging. If you want to try something different and if you are really the type that always drops their phone and has to repair it so often, the Moto Z2 Force with its unbreakable screen is a good option. US Cellular offers this phone for a very reasonable price, and while it's not on par with the rest of the flagships mentioned above, it's also much, much cheaper. The Moto Z2 Force features full 4G LTE, dual 12-megapixel cameras and the cool Moto Mods, so that you can slap an external speaker as a module to the phone, or a larger battery, or even a pico projector. Finally, if you don't care about the latest phones and just want a dirt cheap phone with a battery that lasts a long time, you might want to check out the Moto E4 Plus. Offered pre-paid at just $100, the Moto E4 Plus punches above its weight with a large, 5.5-inch HD screen, the Snapdragon 427 system chip with Android 7.1 Nougat on board and a fingerprint scanner as well. So... which one would you pick? And are you happy with US Cellular as your service provider? Let us know in the comments right below! All of these phones are good, can’t go wrong.